Farley has given Ford consistent profitability in a tough European market. 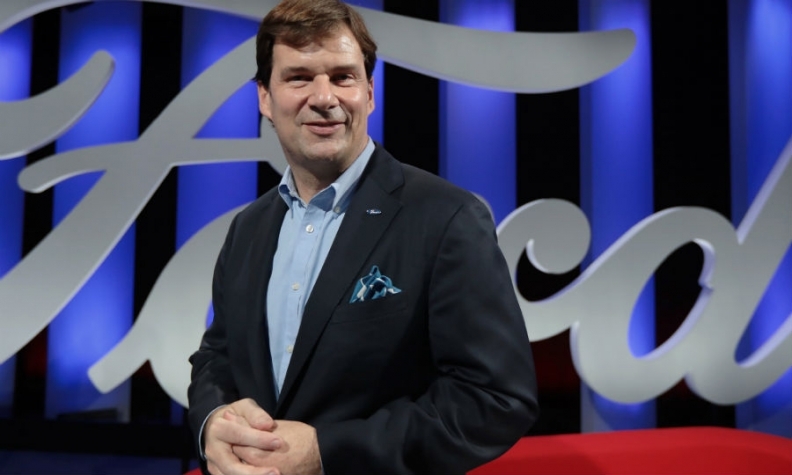 After a successful two years as head of Ford's European, Middle East and African operations, Jim Farley moves back to the automaker's U.S. headquarters with a massively expanded set of responsibilities. • Ford’s Americas; Europe, Middle East and Africa and Asia Pacific business units. • Strategy and business model development for electrified vehicles and autonomous vehicles. • Global marketing sales and service, a role he had in 2010 as Ford's first executive to carry out the job on a worldwide level. Farley was one of three executives named to president roles under new CEO Jim Hackett, who takes over from the ousted Mark Fields. Joe Hinrichs, 50, will lead global operations, while Marcey Klevorn, 57, steers mobility. Lincoln may be the most challenging task for Farley. But he knows the brand well. He was head of Lincoln from 2012 until 2014 and, together with Fields, persuaded then-CEO Alan Mulally to keep the brand, reports said at the time. Lincoln President Kumar Galhotra will report to Farley. Farley, whose grandfather worked for Ford, joined the automaker in 2007 from Toyota. He has a solid background in sales and marketing and was responsible for the rollout of Toyota's Scion brand, later becoming head of sales and marketing for Lexus. While crosstown rival General Motors has failed to end years of losses at its Opel/Vauxhall operations in Europe and is now selling the unit to France's PSA Group, Farley has given Ford consistent profitability in a tough European market. Ford of Europe returned to a small profit in 2015, but that was accomplished mainly due to an accounting standard change. The real fruit of Farley's work came last year, when the European unit reported a record $1.2 billion pre-tax profit, with a 4.2 percent operating margin. Why is Ford thriving in Europe? A big lift came from light commercial vehicles. Ford calls itself Europe's top seller of LCVs, and Farley says demand for the automaker's vans and pickups contributed significantly to company's improvement in selling a better mix of models. Farley has always declined to reveal the profit margin from Ford's LCV lineup, but analysts say it is at least 9 percent. Selling more vans is not the whole reason for Ford's good performance in Europe. Farley kept a close eye on what he calls "the magical operational leverage" or growing revenues and cutting costs. Ways in which Farley boosted revenues included focusing on the booming SUV/crossover market and also on "emotional" cars such as the ST performance line. "Be careful where you compete," Farley told Automotive News Europe in January 2016. Picking the right market sectors is the billion-dollar question for volume brands like Ford in Europe, he believes. "Where you compete and where you don't compete is the most important difference between a 2 percent and a 5 percent to 7 percent operating margin," he said. "We have had great success with our SUV and [commercial vehicle] businesses. We have great success with our more emotional products like our ST performance line. That has encouraged us to challenge ourselves," Farley said. What Farley will miss when he returns to his native U.S. is the launch of the latest generation Fiesta, Europe's top-selling subcompact, which will go on sale in the summer. Nevertheless, Farley's successor as Europe head, who may be named as soon as this week, will benefit from his decision to increase the Fiesta's appeal by adding Ford's top-of-the-range Vignale trim line to the car. The move that should help to boost the company's margins in Europe's most competitive segment.